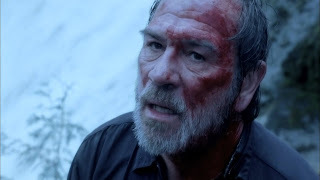 It’s First Blood (1982) meets The Fugitive (1993) meets White Ghost (1988) as Tommy Lee Jones puts on his grizzled hat once again. This was towards the beginning of what came to be known as the GeriAction trend in Hollywood, where an older generation of actors - within a certain range, mind you - wanted to try a few last punches and kicks before they kicked off this mortal coil. Everyone from Clint Eastwood to Liam Neeson to Sean Penn have tried it lately with varying degrees of success. As anyone who reads this site knows, we almost always root for the older guys. We hate young punks and we cheer when they lose. 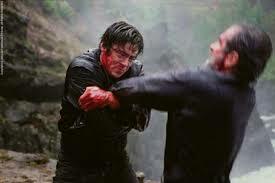 All that being said, I think it’s fair to expect more of the great director William Friedkin than what we get here. It’s all so simple, paint-by-numbers, one-dimensional even. 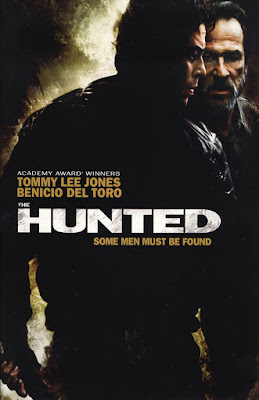 Some guy is on the loose and Tommy Lee Jones is “Hunting” him. Is it wrong to want just a bit more meat on the bone than that? It feels like you’ve seen a lot of this before - just the images of Tommy Lee Jones in front of a waterfall will remind you of the aforementioned Fugitive. And a former military man with a knife that the authorities are chasing in the Pacific Northwest wilderness should bring to mind a certain Stallone movie series that we all know and love. They had enough time for the cliches we’ve all seen before, but somehow they couldn’t find the time for some character development or human drama. They even fell back on the tired “Vietnam vet goes crazy” scenario, which could certainly be argued is insensitive, if not insulting. But we may not have noticed if that hadn’t been done so many times before. The only difference is now it’s Kosovo, not Vietnam. We would think that by 2003 Hollywood would have used up every last drop of that trope, but no, apparently not. This is one time that we can think of that we can’t necessarily sign off on approving an 88-minute running time, like we usually do. Evidently there was more character development left on the cutting room floor. While we appreciate the sentiment to try to make the movie lean and mean, a couple more dialogue scenes that might have fleshed out the characters or explained their motivations would have gone a long way. It would have helped the audience care more about the Bonham-Hallam relationship, which would have increased the suspense. The filmmakers also seemed ambivalent about Connie Nielsen’s character - they should have given her more screen time or axed her altogether. As it stands, she’s just kinda there. We would have opted for more Nielsen, as her run on Law & Order: SVU were some of the best episodes of that series to date. 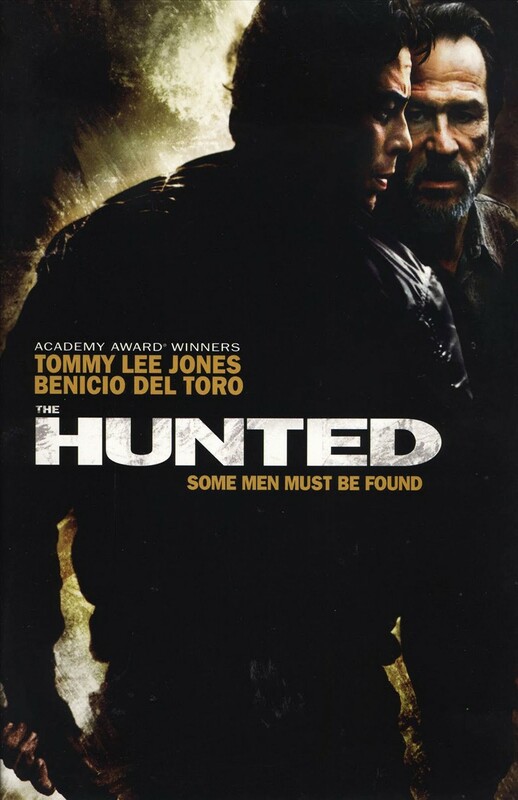 The Hunted could have used a tough female, Dani Beck-like character. Looking at the movie a mere twelve years later (TWELVE years have passed since this came out? Maybe it’s not so mere after all), it’s hard to believe it got a theater release. If this was released today it would go DTV or on-demand, almost certainly. While it does contain the appropriate amount of action and violence - we even get some classic Tommy Lee Jones-Fu, or, to be more accurate, a Filipino fighting style called Sayoc Kali - it’s hard to shake the feeling something is missing here. Perhaps we should hire L.T. Bonham to hunt it down...but then we’d be right back to where we started, wouldn’t we?